After Chael Sonnen's significant moment of domineering Anderson Silva for four rounds in the last UFC 117, it seems that a rematch will not be happening. Blame it to a banned performance-enhancing drug, if there is any. According to California State Athletic Commission executive officer George Dodd, Chael Sonnen failed his post-UFC 117 drug test. The flopped screening is due likely to performance-enhancing drugs. Though Dodd did not state which banned substance was identified, an official manifesto will probably come out in the coming days. During the UFC 117, Sonnen dominated Silva for over four rounds until he was cut short by the champ in two minutes under fifth round. UFC President Dana White promised a rematch, tentatively set for early next year. And despite the defeat, Sonnen even revealed during the UFC Fight Night 22 Q&A session; that he’s setting his eyes for GSP, Shogun and Lesnar. However, with the failed drug screening, any match-ups – including the Silva rematch – appears to be on hold. As for Chael Sonnen, he could not be reached for any comments at this moment. 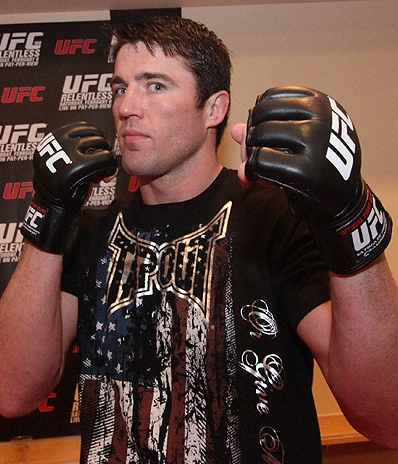 If the Silva vs Sonnen rematch will be postponed or if another match-up will be made, that remains to be seen.